How to reach us Regardless of the form of transportation you choose (plane, car or boat), you will surely experience a romantic trip to the island of Ugljan. If arriving from any Western or Eastern European countries, after crossing the Croatian border join the A1 motorway. Zadar 2 motorway exit (Zadar Istok): after the toll booths turn towards Zadar. At the first crossroads at the entrance to the town drive straight towards Car Ferry station Gaženica and catch ferry Zadar – Preko. Ferry journey lasts about 20 minutes. On arrival at Preko drive 5 minutes by car or bus to the Poljana. Zadar Airport offers public transportation services to its passengers. Liburnija Transport Company offers transport to and from the town. At the Zadar Airport, the bus station is located in front of the entrance/exit to/from the main airport building. Taxi is also available there. 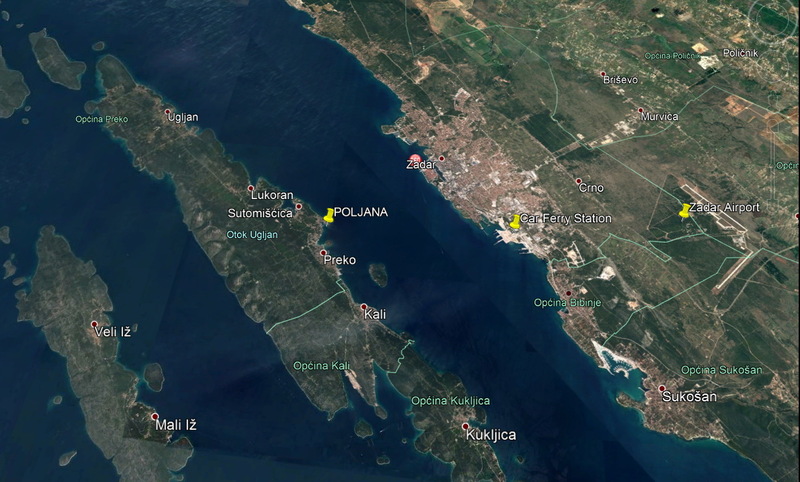 Drive straight towards Car Ferry station Gaženica and catch ferry Zadar – Preko. Ferry journey lasts about 20 minutes. 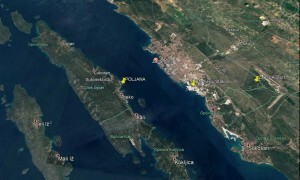 On arrival at Preko drive 5 minutes by car or bus to the Poljana. On your request we can arrange transport from and to the airport. For all other information please don’t hesitate to contact us.